The episode seemed to be inspired from a Batman comic-book plot “No Man’s Land” where Gotham city was thrown into chaos and a state of emergency was declared that walled off the region from the U.S.A. Star city is in absolute ruin due to the war orchestrated by Death-stroke that led to the rise of Grant Wilson to power in the criminal underworld. The city is like Disneyland for criminals which enamored Heat Wave so much so that he totally forgot that he is part of a team with a specific mission. He is slowly getting crazier like Joker whereas Cold Wave is moving towards becoming “Citizen Cold”. When the Team Hunter crash lands into Star city 2046, it was a funny moment when Ray Palmer saw the logo of Felicity Smoak over Palmer Tech Building. 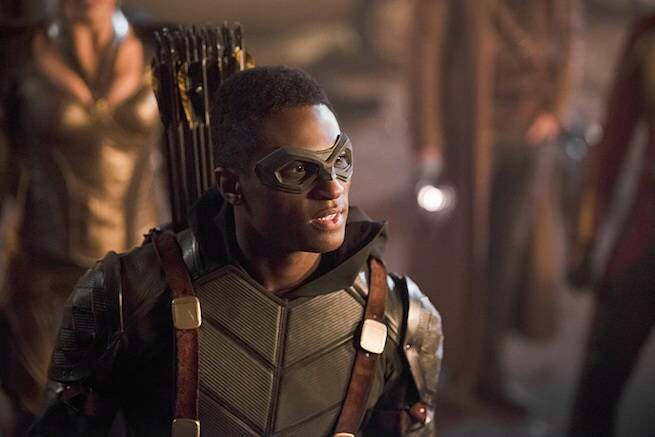 In comic books Connor Hawke is Oliver’s son whereas in the TV show he turned out to be John Diggle’s son who took up the mantle of Green arrow as he believed he is dead and city needs a vigilante to fight against Grant Wilson. 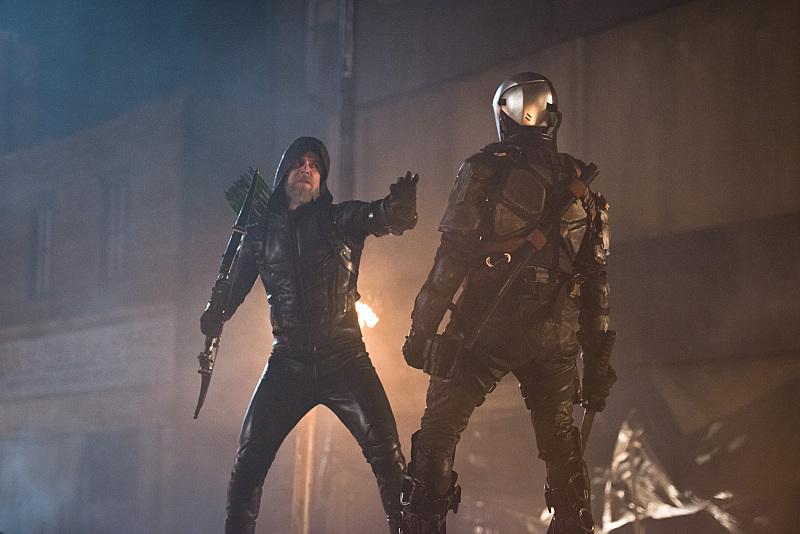 Old Oliver Queen is alive and alone in his dilapidated cave with just one arm. He is like brooding avatar of Bruce Wayne who is war-weary and off the game for a long time. Finally, he donned a bionic arm and went fighting against Grant Wilson and embraced John Diggle Jr.
Grant Wilson, the son of Slade Wilson rise to power in Star city’s criminal scene. He calls the shots on the streets, carry out public executions and live by his father’s legacy. When you see this episode, you can’t help it but feel that you are in Earth-2 version of Star city. It’s a potential timeline as future is always in a flux, but it feels very real. On Earth-2 Barry’s mother is alive which made him very emotional, in Star city 2046 Sara felt a deep connection and saved Connor Hawke despite the fact that she has no direct relationship with him. The Battle of Wilsons'. Choose your Champion from these two Mercenaries!